Literature Evangelism is a highly effective way of reaching souls for Christ! Through Christ-focused books, the Word of God is shared by students as they go door-to-door. These books will nurture and challenge them physically, mentally and spiritually. Youth Rush is a spiritual experience, praying between every door and with those in great need. Meeting people at doors gives students incredible opportunities to touch lives. Youth Rush students work Sunday-Thursday for ten weeks, during the summer. After brunch, worship, and training, students pray together before sharing Jesus with the local communities. They hit the streets, offering people books and free community services, including Bible studies. Teams go out together with highly-trained and experienced leaders. On Friday, students relax, do laundry and have fun. Sabbath is a time to rest with God and share powerful testimonies with local churches. 1. Being involved in front line ministry will stretch and expand your Christian experience. You can look forward to incredible experiences with God and growing in your leadership and people skills. 2. You will earn a great scholarship, thus, making school easier to pay for. The average student earns around $2,500-3,000 for the summer. Most SDA colleges match this by a certain percentage. 3. You will develop people skills, as well as leadership skills that you can use with your local youth group. 4. Safety! Two-way radios as well as trained leaders (who work with students constantly) have ensured our students with safety for a number of summers. 5. Housing, transportation, and brunch are provided without charge to the students during the entire 10-week program. 6. Bible workers and church members follow up evangelistic interests so that spiritual seekers can find what they are looking for. 7. Daily group activities provide spiritual fellowship and bonding with other students. 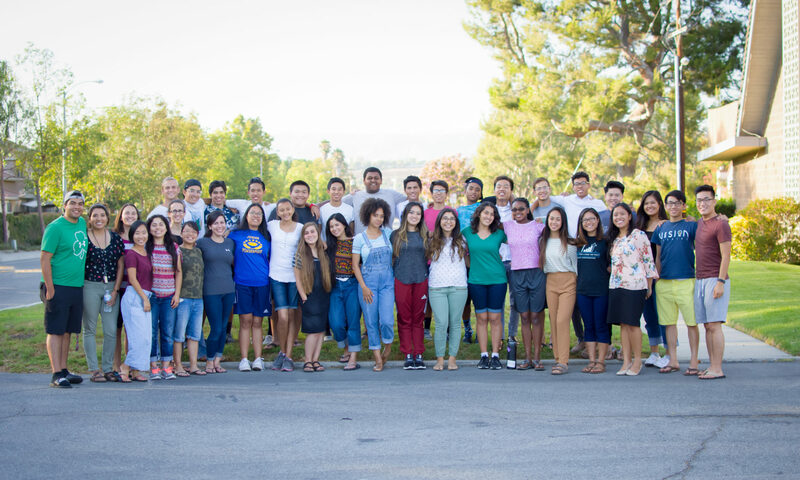 Also a summer-end retreat gives students time with friends to play, share and worship with other student literature evangelist’s from all over the west coast.